An effective Property Management team will likely lead owners to make the best decisions when it comes to keeping turnover costs to a minimum but as an owner, be advised that no matter how good a departing tenant cleans and prepares for move out, there will always be items that need to be addressed BEFORE your new tenant will move in. We thought you might find this article published by LandlordStation.com interesting and helpful as a property owner or investor. “The best way to keep good renters around for the long haul is to ensure that they’re happy, because an unhappy tenant is far more likely to leave at the first opportunity. Make sure to respond to tenants’ requests in a timely manner. ” Our valued tenants are required to put all requests in writing so when we reach out to you our owners for approvals, timely responses will lead to greater returns! Help us, help you. Every landlord wants to avoid high rental turnover rates, and it’s easy to understand why. After all, there’s quite often a period of time when a unit remains unoccupied. When this is happening frequently, a landlord can lose out on substantial amounts of rent money. Unfortunately, lost rent payments aren’t the only costs related to having high turnover in rental properties. Some people live in markets where advertising a rental property is as simple as posting an ad on Craigslist. For most, though, this simply isn’t the case. In order to get a home rented out quickly, it’s often necessary to place classified ads, hold an open house, and post vacancy signs. These costs are all the more substantive because there is no rental income to offset the cost during this period. It’d be amazing if all potential tenants were stellar candidates and could be fully trusted to divulge all requested information. Unfortunately, that’s not how the world works. There are costs related to every potential renter, such as doing criminal and credit background checks and verifying income and employment information. Regardless of how great a tenant has been, it’s still very likely that there’s going to be some costs shouldered by a landlord to prepare a property for its next inhabitant. Sometimes costs can be as basic as the charges for getting the carpet cleaned. Other times, hundreds or even thousands of dollars in repair work might be necessary. Even the smallest repair costs can start to build up if the repairs are keeping the property from being rented. Many landlords neglect to account for the attention and energy that goes into taking care of a rental turnover. It detracts from your bottom line when you have to take the time to do things such as paperwork to process departing tenants and to bring on new ones. Using property management software can help reduce the hassle involved in this process, but it’s important to still seek out the underlying issue leading to high turnover rates. There are few potential tenants out there desperate enough to rent a property sight-unseen. This means that extra hours will need to be spent by the landlord to show their property, and if they don’t have time to do this on their own, they’ll actually have to pay someone to do so. Add this to the necessary time spent setting up appointments and dealing with emails and phone calls, and this can turn into a huge hidden cost. Fortunately, there are things that can greatly reduce the likelihood of high turnover rates. Some people simply can’t stay in one place. If a person’s rental history shows them moving once a year, even if they fully abide by their lease agreements, it may be smart to move on to the next candidate. The best way to keep good renters around for the long haul is to ensure that they’re happy, because an unhappy tenant is far more likely to leave at the first opportunity. 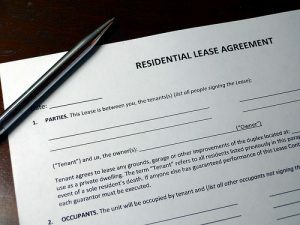 Make sure to respond to tenants’ requests in a timely manner. Offer conveniences like the ability for tenants to pay their rent online. Pay attention to the market in an area. It’s not necessary to always raise rents, and if rent increases are causing the loss of tenants, they are hardly an economical decision. By engaging in these tasks to reduce turnover rates, a landlord can keep good tenants in their properties.